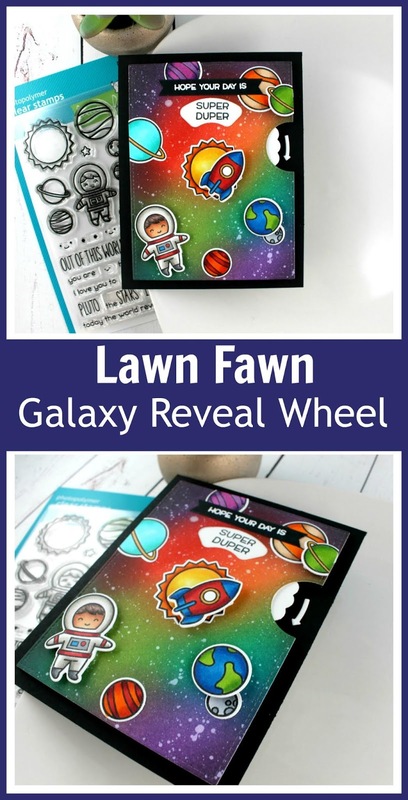 Today’s card is a fun Galaxy Reveal Wheel card for the Lawn Fawnatics challenge #34 which is titled Favorite Place. Now while I haven’t actually been to space I’m totally mesmerized by it and LOVE creating backgrounds for it. I’ve been wanting to create something like this for a while and finally sat down to do it for the challenge. I start out creating the front panel of my Reveal Wheel card by ink blending Candied Apple, Wild Honey, Mowed Lawn, Mermaid Lagoon, Wilted Violet and Black Soot Distress Oxide ink. Then splatter with white paint for the effect of stars. Once this panel is dry, I die cut the front panel of the reveal wheel. I really wish I would have had the time to create a video for this card but to see the assembly of a previous reveal wheel card I made you can visit my Youtube Channel HERE. I just used white cardstock for the sentiments that I stamped from the Reveal Wheel Sentiments stamp set. 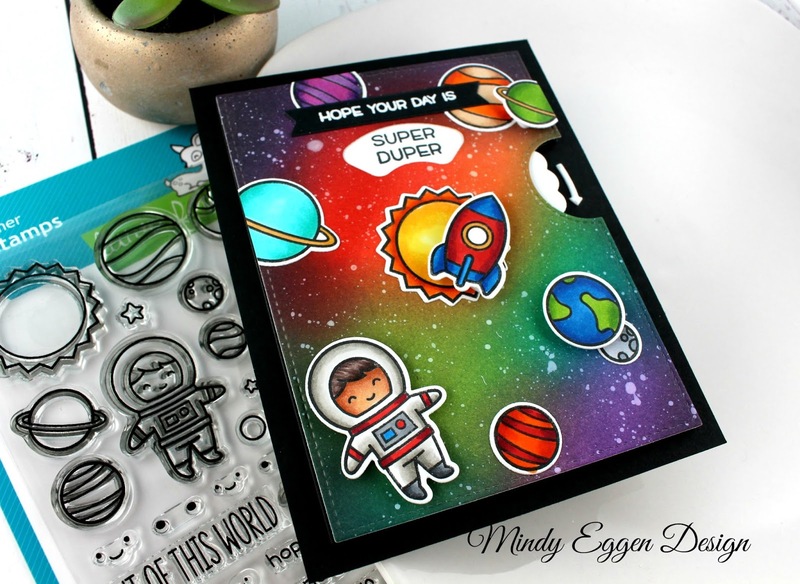 My images are from the Out of this World stamp set in which I stamped onto Neenah white cardstock with Lawn Fawn ink. Then colored with copic markers and die cut with the coordinating die. 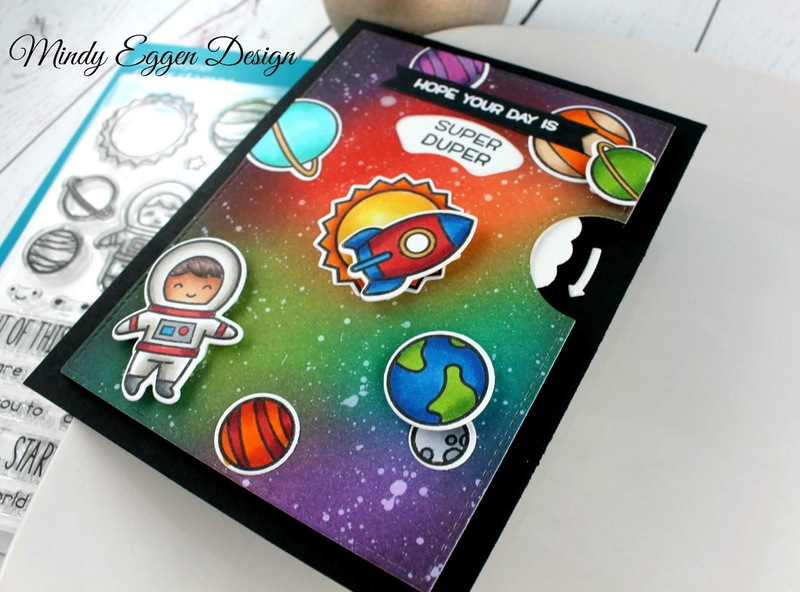 I added my images around the card, some of the I’m popping up with foam squares for a little more dimension The top sentiment is also from the Reveal Wheel Sentiment stamp set and I stamped it on black cardstock with clear ink then heat embossed with white embossing powder. I used the Banners Die set to trim down and add to the top of my card. I’m so in love with how the rainbow galaxy turned out! 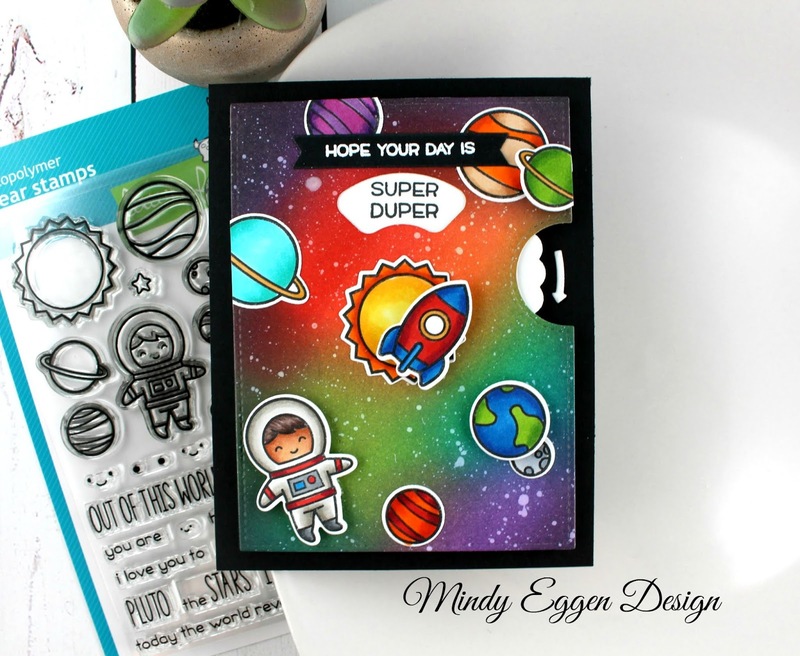 Out of This World – Krafty Peeks Day 5! oh this card is amazing! !The galaxy is amazing and the spaceman looks so cute! Thank u so much for playing with us at Lawn Fawnatics!